This week we are featuring the top 3 engagement ring styles from Engagement Rings Direct, a New York City-based jewelry retailer specializing in custom engagement rings and unique diamond cuts, including the company's line of "A Cut Beyond" antique-style cushions. 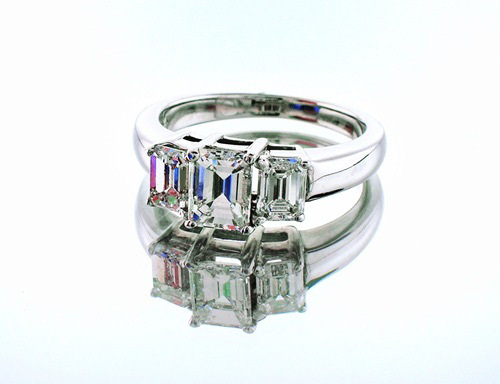 The team at ERD sent us their 3 top styles ranging from classic halo and 3-stone designs to a vintage-inspired platinum creation from the company's Royal T collection. 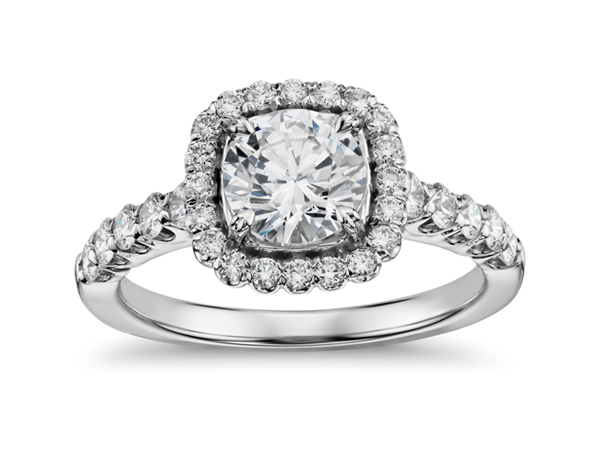 This week we are featuring the top 3 engagement ring styles from Blue Nile, the largest online diamond and jewelry retailer. 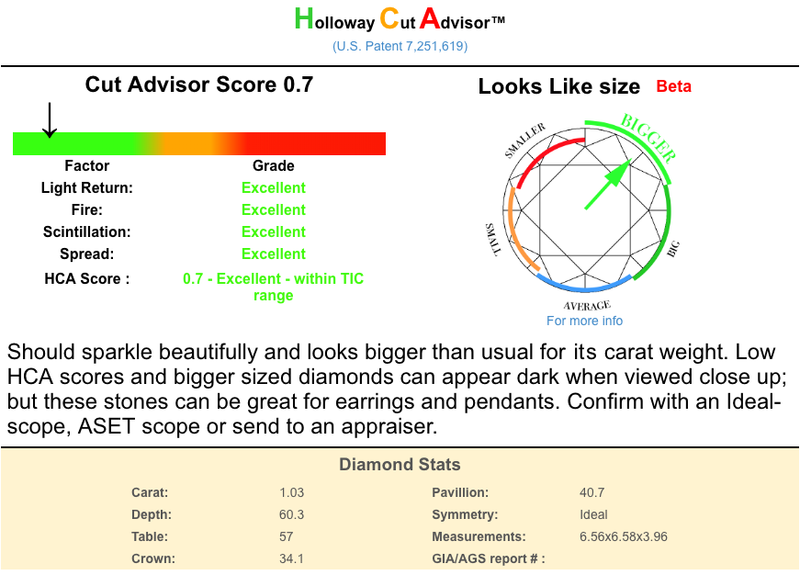 Founded in 1999, the Seattle-based company has built a vast retail website featuring loose diamonds, engagement rings, and a variety of jewelry collections that range from affordable silver pieces to luxurious fancy-colored diamond creations. Blue Nile sent us the top 3 engagement rings from their newest collections, including a cushion halo, a Monique Lhuillier cathedral solitaire, and a four-stone emerald-cut diamond ring. 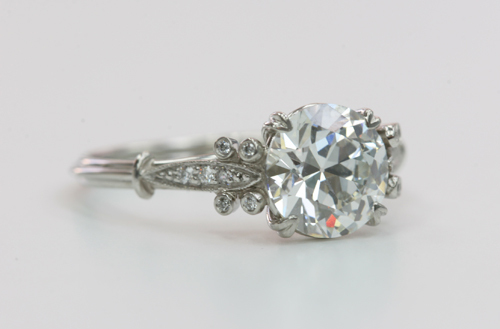 This week we are featuring the top 3 engagement ring styles from Single Stone, a Los Angeles-based jewelry company known for its selection of original vintage jewelry and old-cut diamonds. 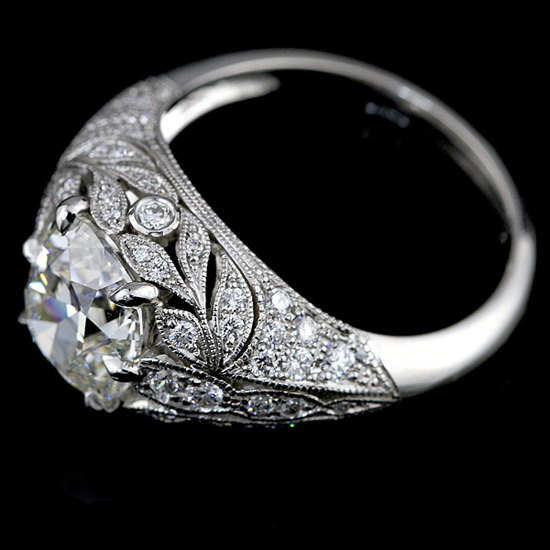 Single Stone also offers the company's own unique collections of vintage-inspired and contemporary engagement rings set with old European, antique cushion, and rose-cut diamonds. A marriage of old-world charm and 21st-century style, Single Stone's top 3 designs include detailed solitaire and halo engagement rings in platinum and 18k gold. This week we are featuring the top 3 engagement ring styles from Mimi So, a New York City-based jewelry designer known for her diverse, sophisticated collections. Mimi So's pieces range from red-carpet-ready stunners to luxurious jewels for daily wear. 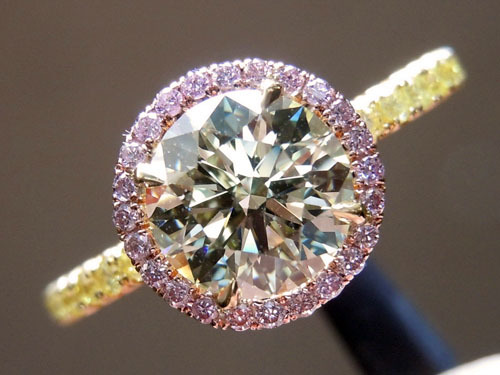 The designer's bold, colored gemstone and diamond jewelry has attracted a celebrity clientele, and her line of bridal rings brings both classic and antique styling to modern designs. This week we are featuring the top 3 engagement ring styles from Yael Designs, an award-winning jewelry design company headquartered in downtown San Francisco. Yael creates an array of jewelry styles featuring rare, colored gemstones and diamonds. Yael shared their top 3 styles from the Novelique bridal collection, including two halo-style rings and a classic pavé diamond solitaire. This week we are featuring the top 3 engagement ring styles from Diamonds by Lauren, a retailer known for its fancy-colored diamond jewelry. 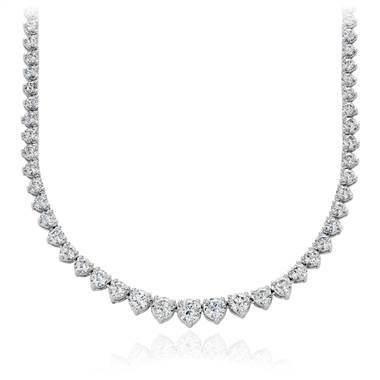 The company is now also offering a branded line of yellow antique-style cushion-cut diamonds and a selection of ideal-cut diamonds from Crafted by Infinity. 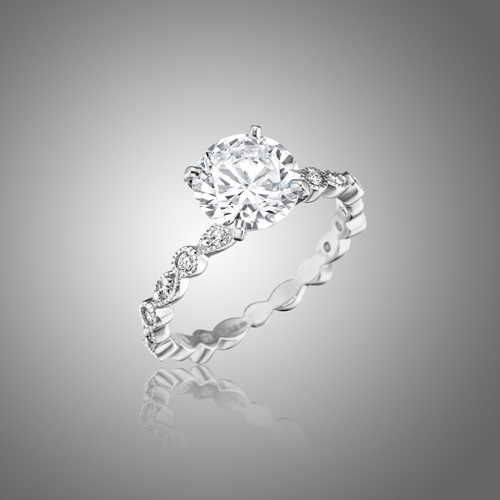 DBL's top 3 styles include custom halo, solitaire, and classic 3-stone diamond rings. 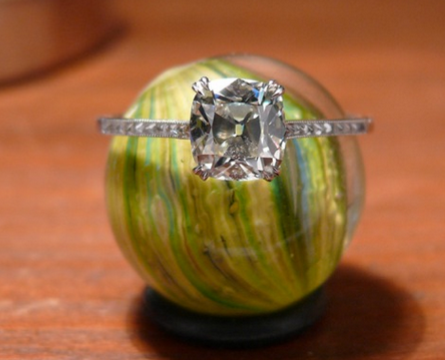 This week we are featuring the top 3 engagement ring styles from Solomon Brothers, a jewelry retailer located in Atlanta's Buckhead district. 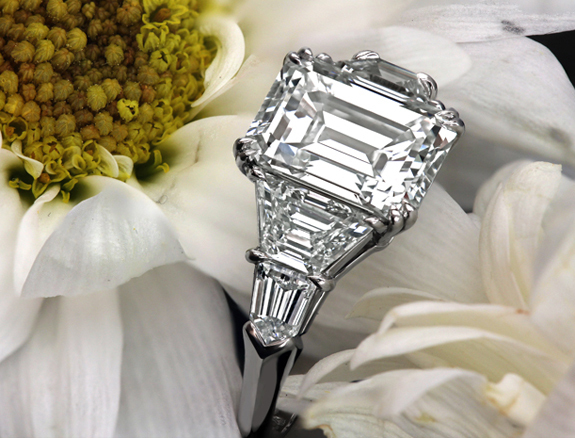 Solomon Brothers carries a wide variety of engagement rings ranging from designer styles to their own company collection. Their top 3 diamond engagement ring styles include Michael B's "Paris," Verragio's "Insignia," and Tacori's "Dantela" rings. 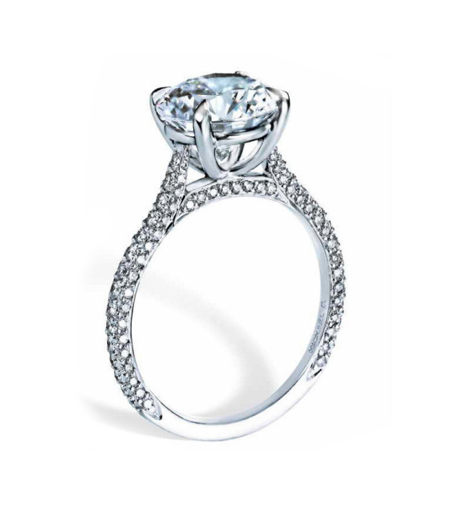 This week we are featuring the top 3 engagement ring styles from Leon Megé, an award-winning jewelry designer who creates custom, handcrafted engagement rings and one-of-a kind jewelry pieces featuring diamonds and rare, colored gemstones. 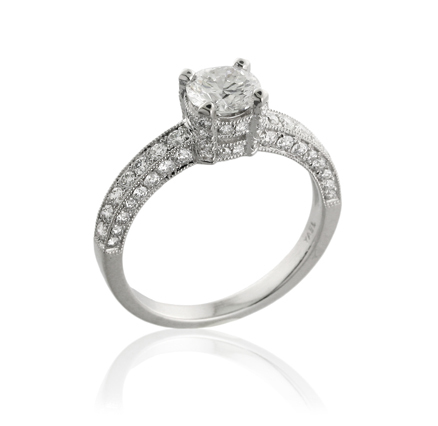 Leon's top 3 styles include classic 5-stone, 3-stone, and halo diamond rings. This week we're featuring the top 3 engagement ring styles from Union Diamond, a diamond jewelry retailer founded in 2001. While Union Diamond is known as a traditional diamond jeweler, company president and CEO Scott Anderson told us the retailer is expanding and offering more diverse selections, including a line of colored stone jewelry and a new budget-friendly silver collection by designer Sara Blaine. Both the company's bridal collection and new offerings can be viewed online or at the flagship showroom in Atlanta, Georgia. 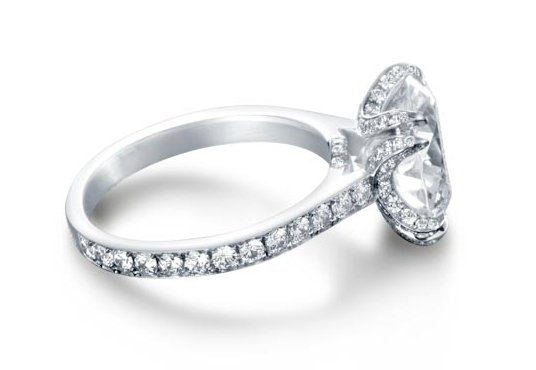 This week we are featuring the top 3 engagement ring styles from Steven Kirsch, an independent jewelry designer known for his pavé diamond creations. With a focus on craftsmanship and innovative design, Steven produces handmade jewelry with intimate details: intricate gallery work and fluid curves offset precise pavé settings in platinum and gold.